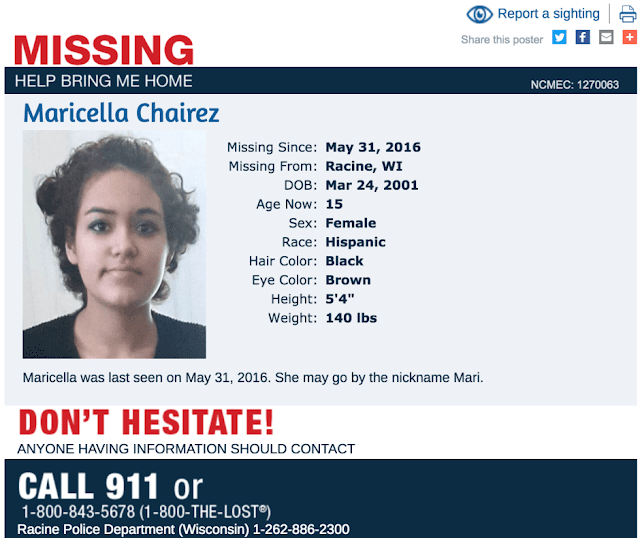 OrbsCorbs: "Please Share: Maricella Chairez is Still Missing"
"Please Share: Maricella Chairez is Still Missing"
"Please look closely at the photo of this girl: Maricella Chairez is a 15-year-old girl missing since May 31. She may go by the nickname Mari. "If anyone has information about her whereabouts, they can leave an anonymous tip with Crime Stoppers at (262) 636-9330 or text RACS with your message to 274637 (CRIMES). 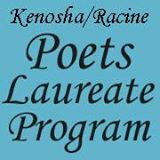 "Information can also be shared with the National Center for Missing and Exploited Children by calling 1-800-843-5678 (1-800-THE-LOST) or Racine County Dispatch at (262) 886-2300."